THE ENVIRONMENTALIST: MicroGiving Chooses The Environmentalist for Annual Donation Drive! 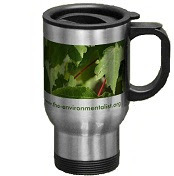 THE ENVIRONMENTALIST: MicroGiving Chooses The Environmentalist for Annual Donation Drive! MicroGiving Chooses The Environmentalist for Annual Donation Drive! The inspiring nonprofit, MicroGiving, has chosen The Environmentalist for an important fundraising drive where small donations will earn donor gifts and rewards in return. The donations will be used to cover The Environmentalist's operating costs with a small portion reserved for The Environmentalist to donate to others in need. It's a wonderful concept where worthwhile organizations receive donations while they help others in return. This coincides with our vital New Year fundraising drive. Vital because of plans to open a book division next year. Worthwhile writers who have been hurt by the economy are being overlooked by the publishing industry. We hope to provide a platform from which they can build or rebuild their literary careers while we give something back to those in need. Here's how you can participate: Instead of donating directly to our site this time, we ask our supporters to give whatever they can through MicroGiving, where you will earn you rewards in kind while allowing us to donate a portion of your donations to others in need. We ask that all our readers share the link on your social network and to all your contacts. This is important. The more the link is shared, the more visible the initiative will be on MicroGiving's site. Everyone on The Environmentalist donates their time. Please support our efforts during this drive. Share the link. Give if you can. The donations can be small (hence: micro). The rewards grow with denomination. There are buttons here for easy sharing.